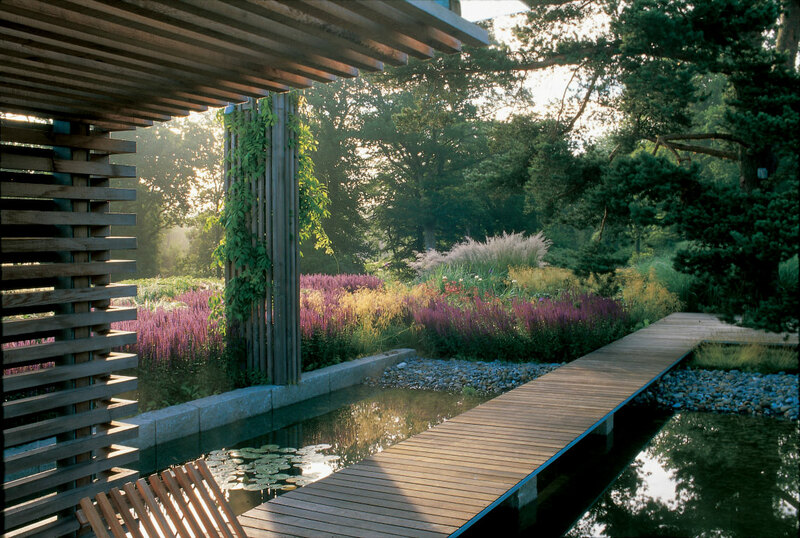 For the Swedish designer Ulf Nordfjell is the beautiful nature of his country an important part of everything he designs. 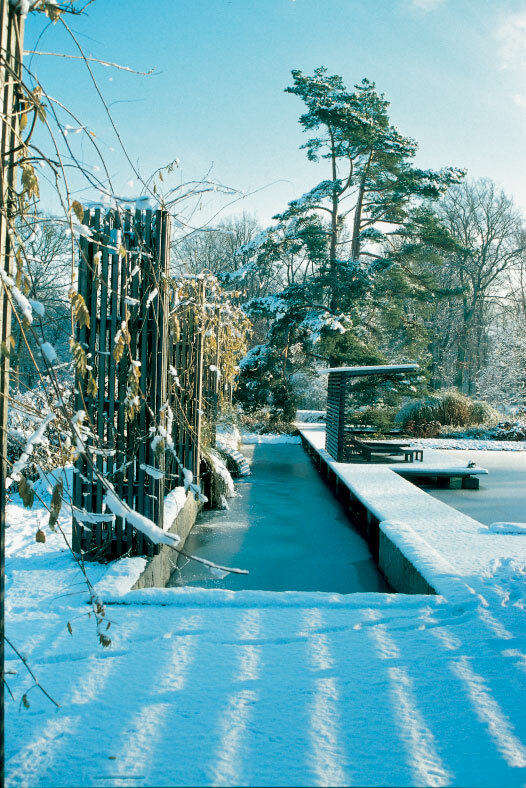 In addition to gardens and landscapes are also the planters, pergolas, columns and other artistic objects from the mind of the master, mostly for use in his garden designs. 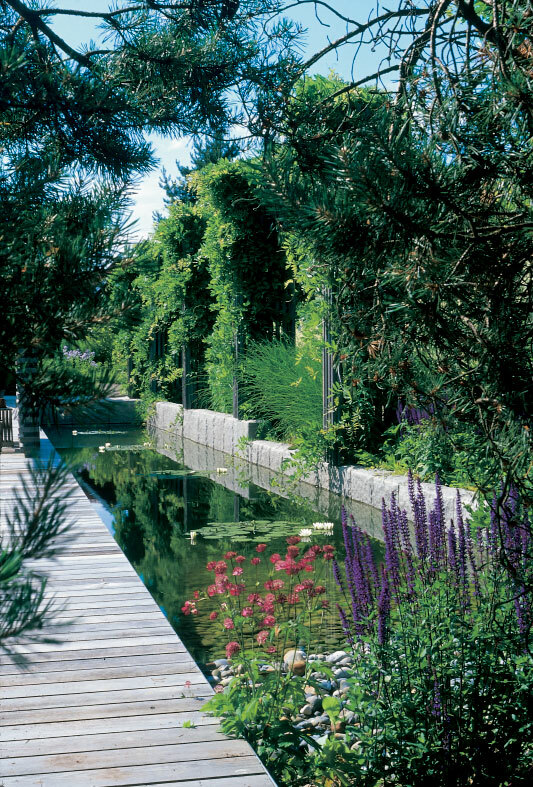 His style is characterized by sleek modern lines and group plantings with innovative plants in fresh colors. 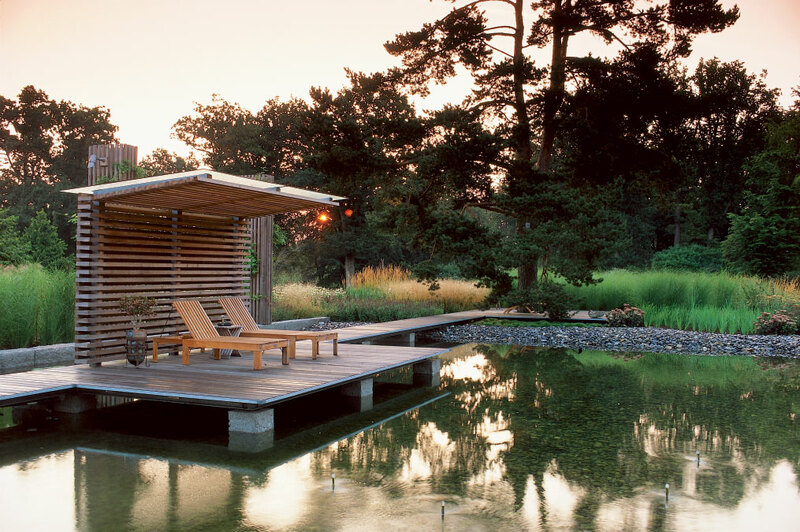 The Swedish nature in his designs, can be found in for example the use of water in many of his gardens and parks, but also by the use of natural materials such as hardwood and stone in his designs for durable outdoor furniture. 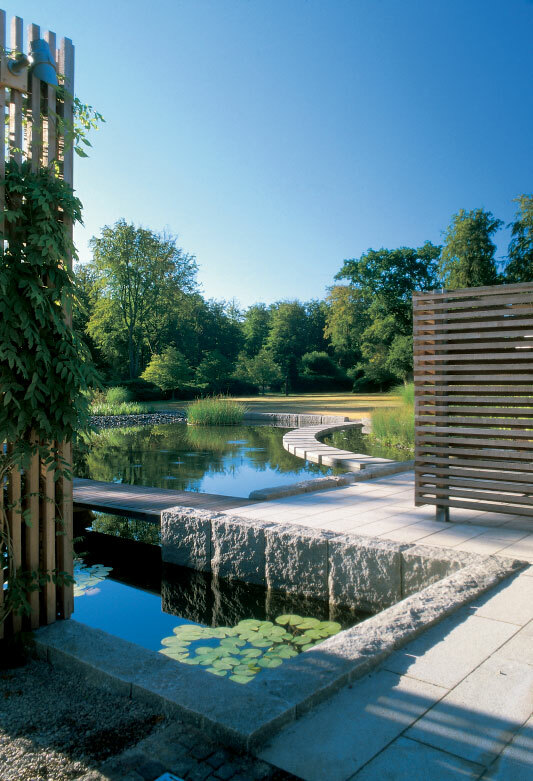 This estate is designed with plenty of water in the gardens surrounding the house, the gardens blend seamlessly into the landscape with many trees and a large grass area, which in turn merges into the surrounding landscape. 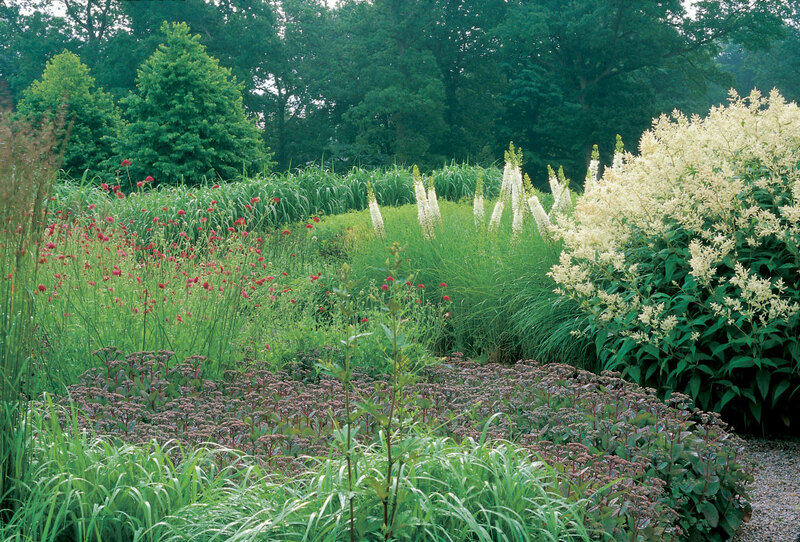 In the plantings we see many species of grasses but also including Sedum and Veronicastrum. 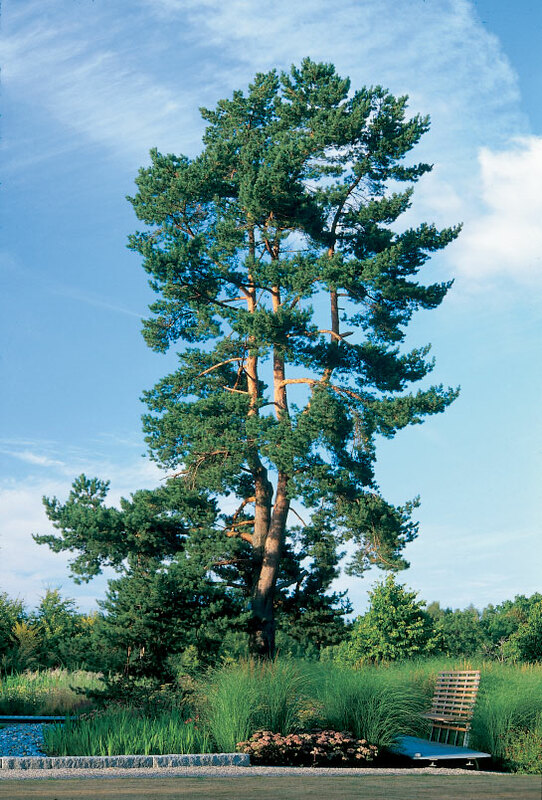 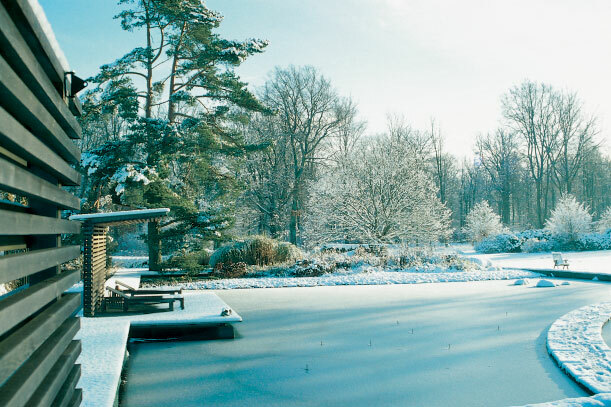 Many of the older trees on the estate have been saved and give the gardens a mature character and the connection with the Swedish countryside where the garden is surrounded by.